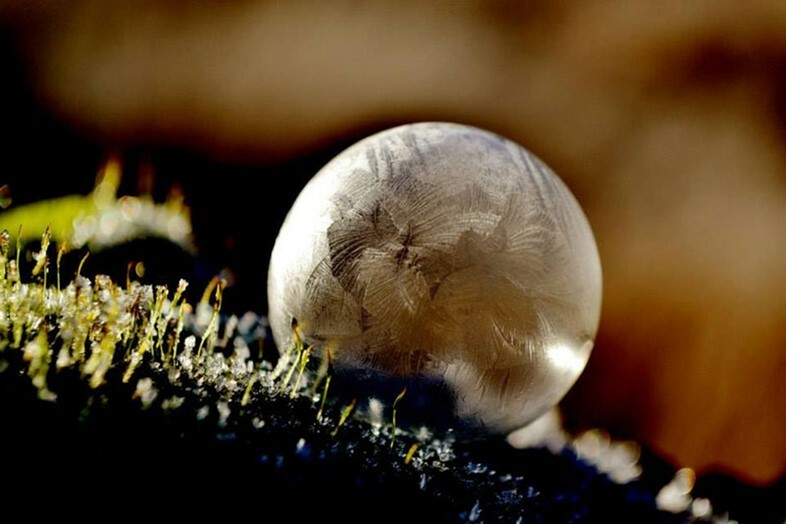 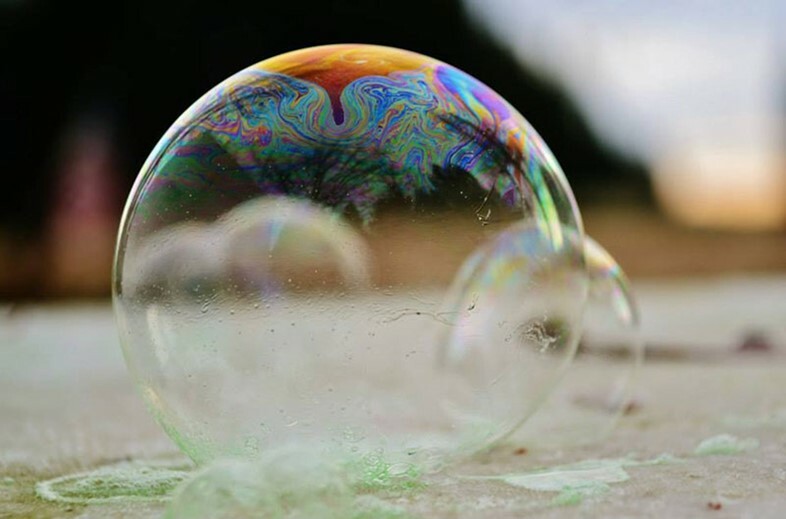 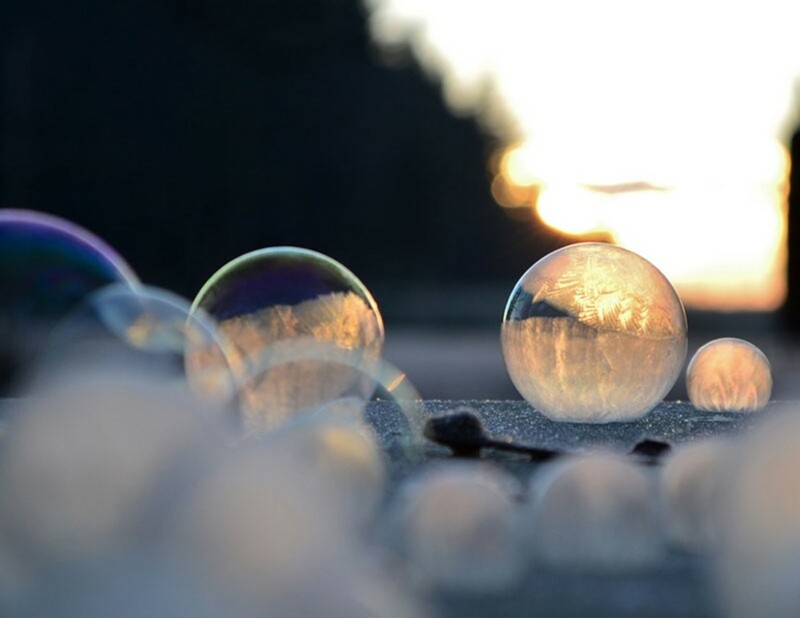 As much as we're longing for spring in all its blossom-filled glory, this Happy Monday we're embracing the cold in the form of these amazing frozen soap bubbles. 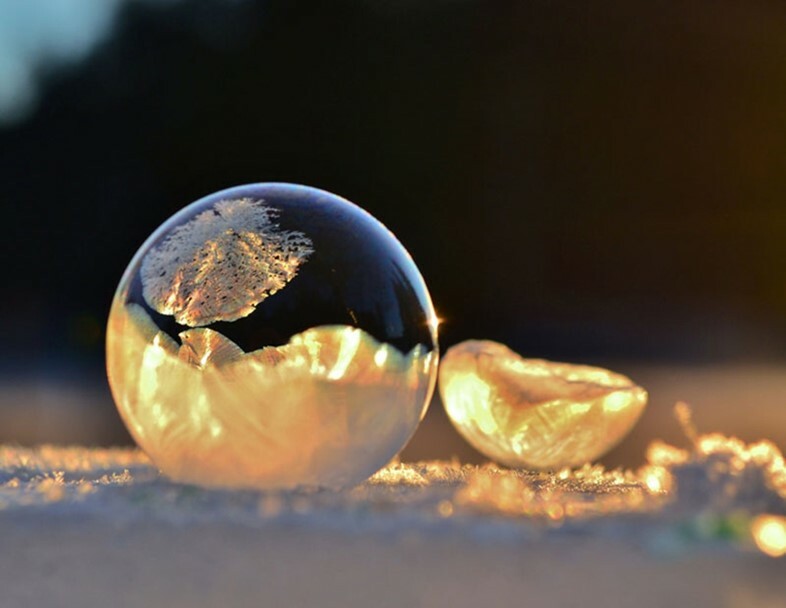 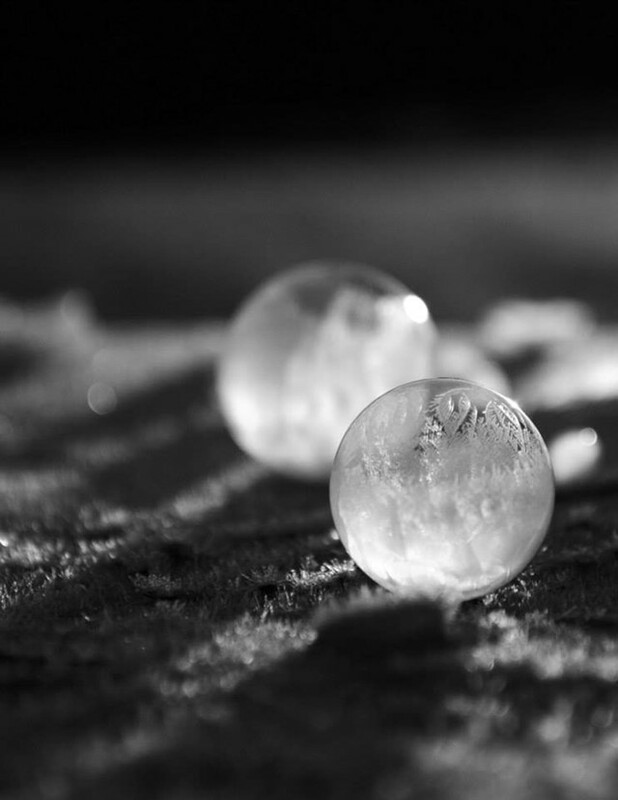 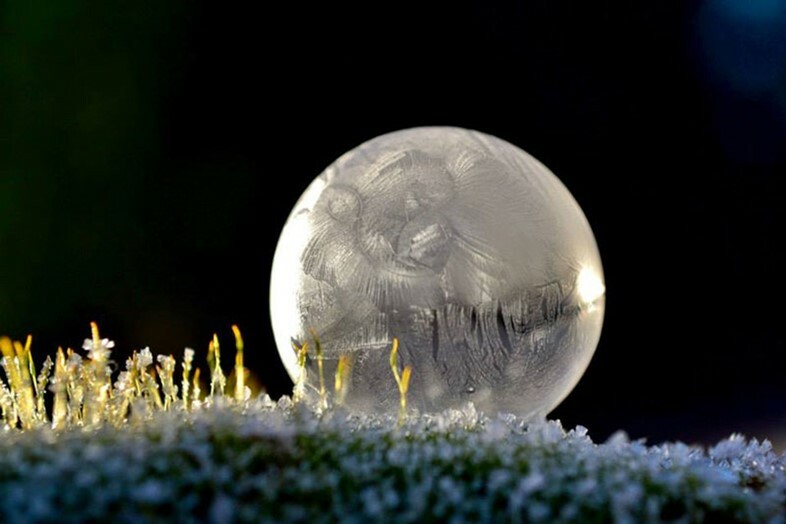 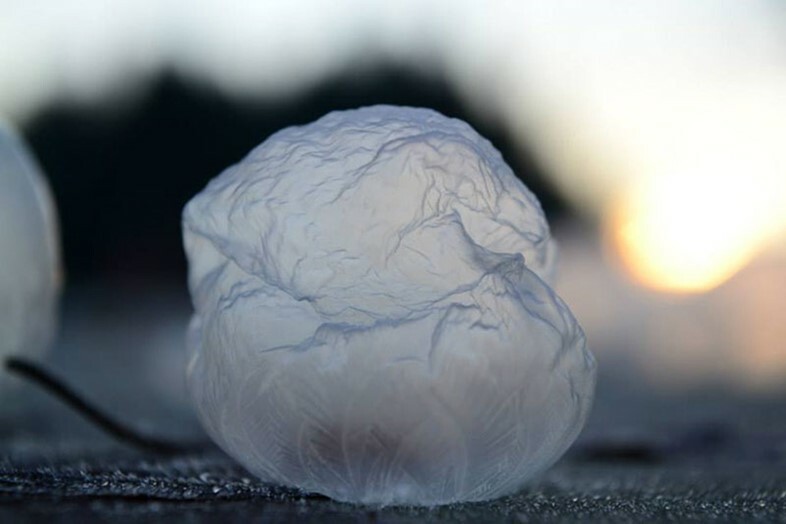 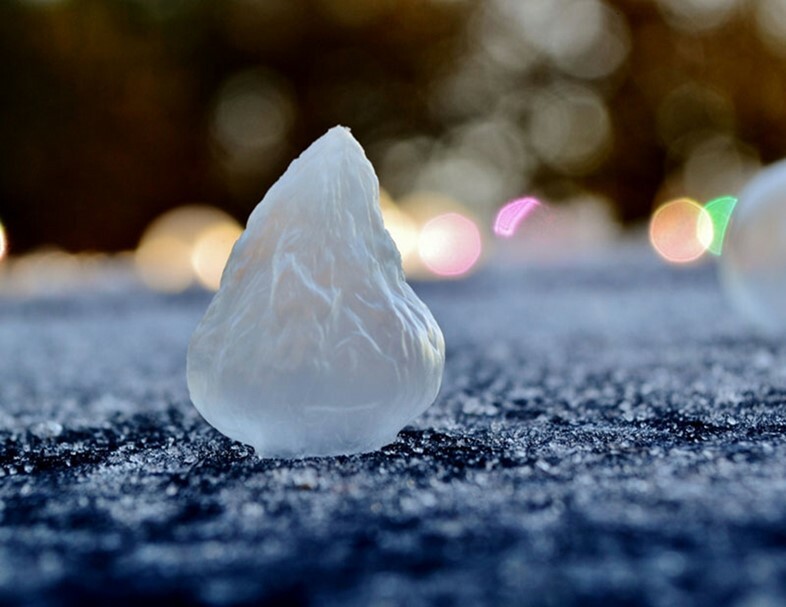 Blown by American photographer Angela Kelly and her 7-year-old son, during the big freeze at the end of last year, the bubbles began to solidify almost immediately – a process captured close-up by Kelly to miraculous effect. 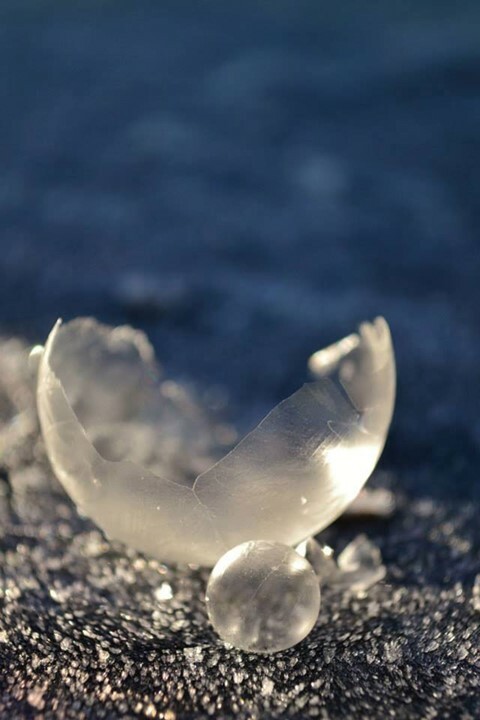 Some twinkle like baubels in the evening sun, while others have frozen mid-deflation, resembling abstract sculptures. 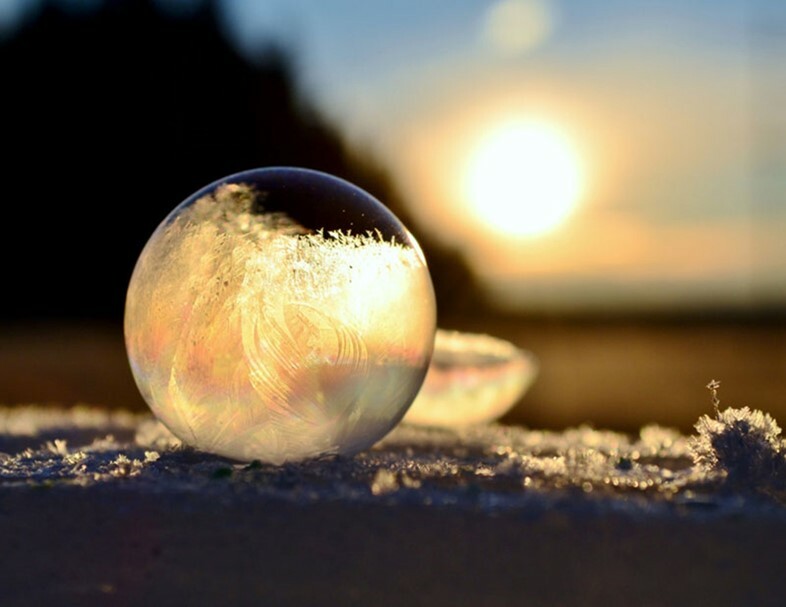 Either way they're helping us to see the bright side of winter and we hope you feel the same!